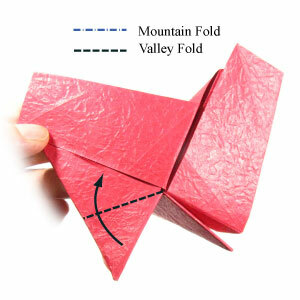 Apply the valley-fold of the step #40. You've just completed a flap-folding on 1st flap. You can repeat the step #39-41 to all four flaps. 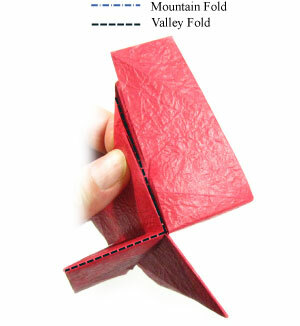 Here I will show one more flap-folding for the 2nd flap. Then you will have no problem applying the flap-folding for 3rd and 4th flaps. Prepare to unfold the 2nd flap along the black dash line shown on the left picture.